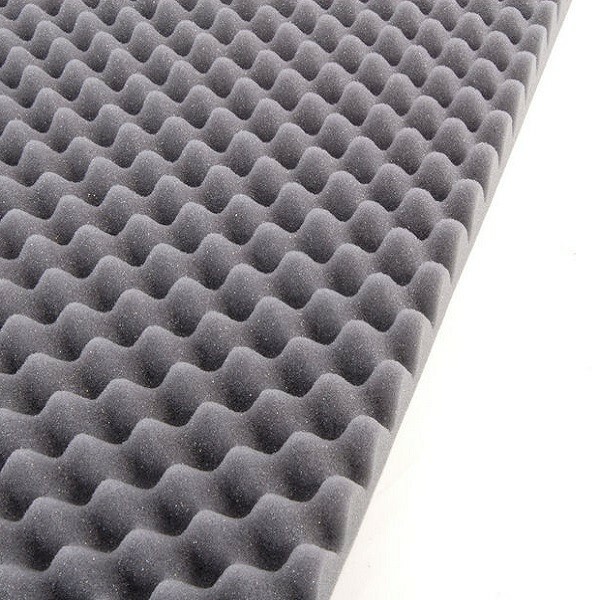 Self adhesive acoustic foam for control of reverberation time and echo in rooms, recording studios, water pumps etc. 40mm thick (20mm/20mm). 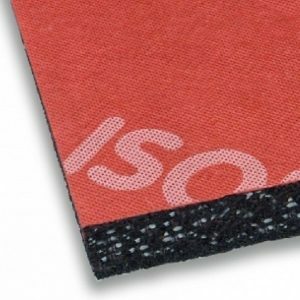 Use in the rear loading area of vans to reduce interior noise level. 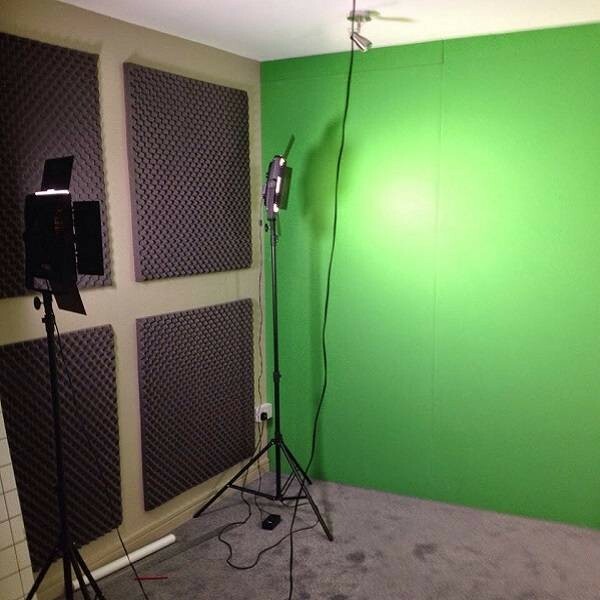 Dimensions 1m x 1m. 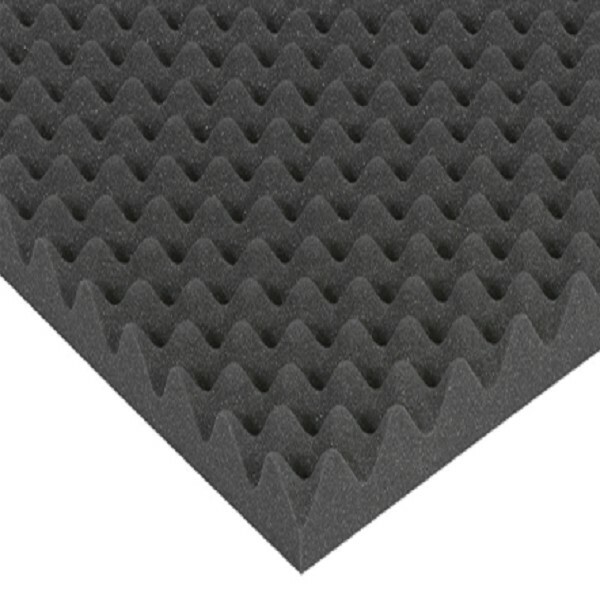 Acoustic foam is a self adhesive, wave profiled, flexible, polyurethane acoustic absorption foam. It is self-extinguishing and non-drip. It is 40mm thick with a 20mm base and 20mm Pyramid. 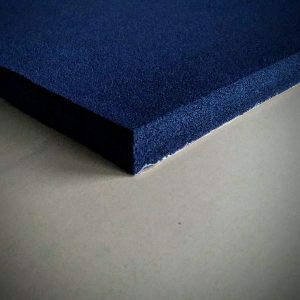 Our acoustic foam has a wide range of applications such as the control of sound reverberation and reflection in industrial environments, recording studios, the sound-proofing of air conduits, firing ranges, the internal lining of engine compartments, sounds enclosures, silencers, sound-proofed cabins, ventilation equipment, vans etc. It can be used as an effective means of controlling sound from household water pumps.